Utah County is only 35 minutes south of Salt Lake City, but it’s a whole new world of exciting activities in Utah. You’ll find activities for every season of the year—including a wide variety of outdoor adventures, scenic drives, arts and entertainment, sports, bird watching and more. 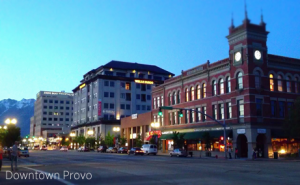 Whether you have a few hours or a few days, you will find things to do in Utah county. Utah Valley has a vacation experience uniquely suited to you. Plan your Utah Valley vacation using our suggested itineraries. You can find activities of interest in each of our Utah valley communities listed below, followed by a complete listing of events throughout the valley. Visit our Calendar of Events to see what&apos;s going on, and check out our All American Festivals page to view upcoming festivals.